President Trump is about to get tough on China and other trading partners. But the powerful figure carrying out those orders is someone you've probably never heard of. He rarely does interviews and never tweets, but US Trade Representative Robert Lighthizer is arguably President Trump's most important trade official. His team and his influence are growing, and he has an expanding portfolio of responsibilities at the core of the issue Trump credits with securing his election victory. At Lighthizer's recommendation, Trump announced a plan Thursday to impose tariffs on Chinese exports to the United States to retaliate for China's theft of US intellectual property. Officials say the tariffs will target $50 billion of Chinese goods. 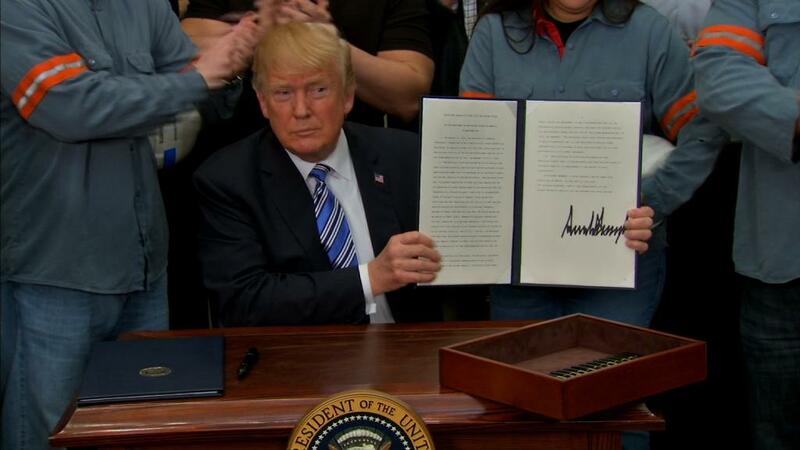 Lighthizer's office said in a document Thursday that the trade penalties will include 25% tariffs on communications technology, aerospace products and machinery. A full list is expected within two weeks. Trump also directed Lighthizer to play a key role in the execution of global tariffs on steel and aluminum, which take effect Friday. And while all this is happening, Lighthizer is the lead negotiator for the United States on talks to rewrite NAFTA, the free trade pact with Mexico and Canada. He's also leading trade talks between the US and South Korea. On trade, Trump hears an array of other voices, including those of Treasury Secretary Steven Mnuchin, Commerce Secretary Wilbur Ross and White House trade adviser Peter Navarro. But Lighthizer's appears to carry the most influence. "He's keeping a low profile, but he's building his reputation within the administration and with President Trump," says Gary Hufbauer, a senior fellow at the Peterson Institute for International Economics. "Lighthizer really knows the details and is probably the best guy to be doing the negotiations" on trade deals and tariffs. Hufbauer added that Lighthizer knows much more about trade laws than Ross, and that "Navarro is more of an ax guy. Lighthizer is more of a surgeon." A White House spokesperson told CNN that Trump deeply values all members of his trade team, and that Ross' "real world know-how" in the private sector plays a critical role in trade policy and negotiations. Trump does seem to lean toward Lighthizer's expertise. 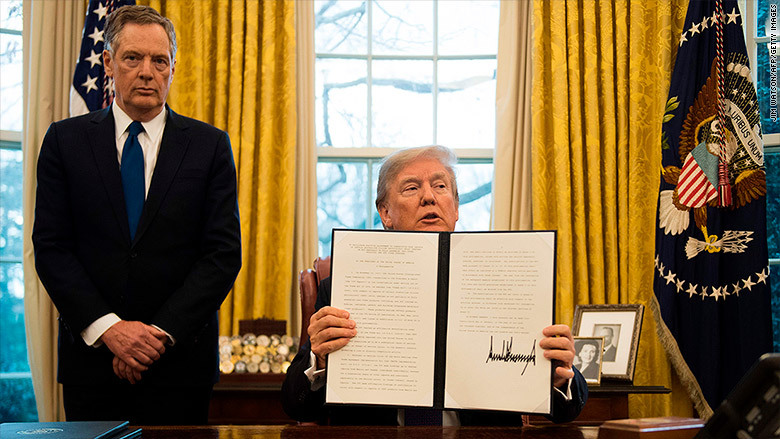 He made Lighthizer the point of contact for countries seeking to get out of the steel and aluminum tariffs. When European Union and Japanese officials demanded exemptions, they met with Lighthizer in Brussels, even though these tariffs are technically coming from Ross' Commerce Department. Canada and Mexico were granted early exemptions. Lighthizer told a Senate committee on Thursday that the EU, South Korea, Brazil, Argentina and Australia would also be excluded from the trade penalties. Lighthizer, 70, has brushed aside concerns about escalating retaliation. "The response that we're going to start a trade war is nonsense," he told Fox News in February. Lighthizer also led the investigation into China's alleged theft of US intellectual property, such as software and patents. Members of both parties agree China should be penalized for stealing US tech innovations. But they are divided about the right remedy. Lighthizer's solution was tariffs, and possibly restricting Chinese investment in the United States. Lighthizer finally has a high-level team, too. Congress confirmed four high-ranking deputies at USTR in March. Lighthizer says a bigger team will help him execute Trump's trade agenda. It's typical for the USTR to be the point person on the White House's trade agenda. But Trump is the first president in decades to make tariffs a focal point of his campaign platform, magnifying Lighthizer's importance. Two of a kind or odd bedfellows? Trump and Lighthizer's paths to the White House run both parallel and perpendicular. Both have lambasted America's trade practices for years, but Lighthizer isn't the type of negotiator Trump promised voters he'd bring on board. In a 2010 Op-Ed in The New York Times, Lighthizer blamed lawmakers for their "failure to make free trade work for America." Lighthizer declined to comment for this article. Trump hit a nerve on the campaign trail, speaking to Rust Belt manufacturing workers who feel that bad trade agreements have doomed their industries. "We have people who are political hacks negotiating our trade deals," Trump said during a 2016 campaign debate. In a 2015 interview with Fox News, he said, "I know the best negotiators. I'm in New York." With that in mind, Trump promised voters he would "drain the swamp" by getting rid of Washington lifers in White House ranks. But Lighthizer has been a career Washington lawyer at Skadden, Arps, Slate, Meagher & Flom LLP. He went to Georgetown for his undergraduate and graduate degrees. Lighthizer chose another Washingtonian, assistant US Trade Representative John Melle, to lead NAFTA talks for the administration. Melle helped get the original NAFTA, which Trump slams as the worst deal ever, passed through Congress in 1993 while with the Clinton administration.